The DeHavilland Twin Otter (DHC-6) is a highly maneuverable, versatile aircraft which can be flown slowly (80-160 knots/150-300 km/hr) and in tight circles. 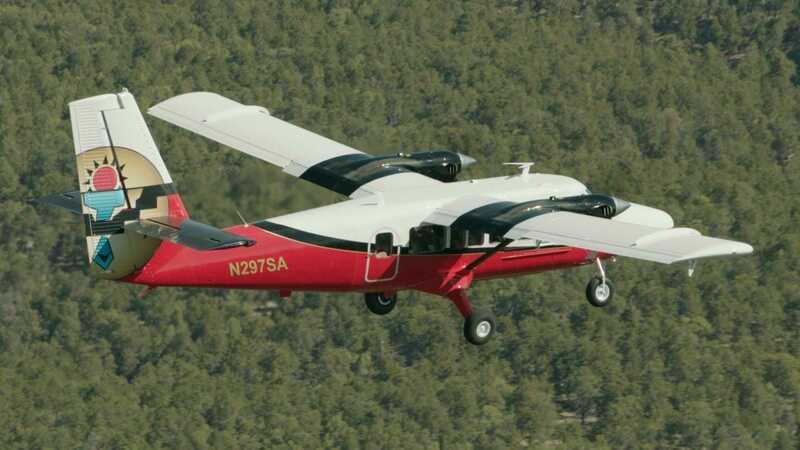 The Twin Otter is a high-winged, unpressurized, twin-engine turboprop aircraft equipped with color weather radar, radar altimeter, dual GPS/Loran-C navigation systems with scientific data drops, and camera ports in the nose and belly areas. 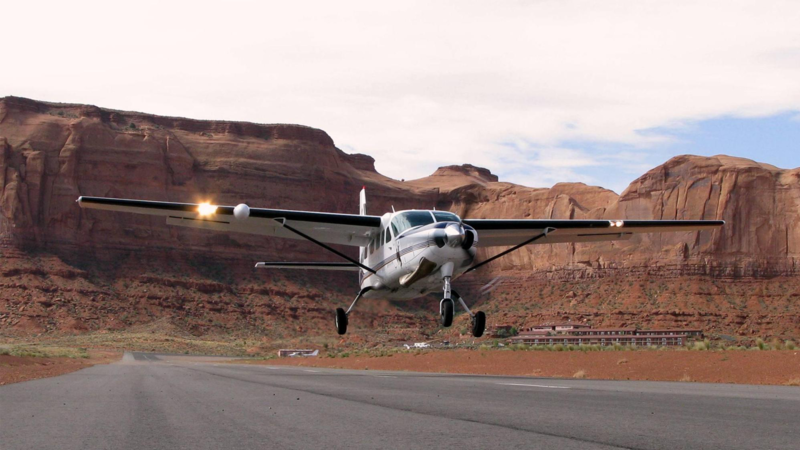 The Cessna 208 Caravan is a single-engine turboprop, fixed-tricycle landing gear, short-haul regional airliner and utility aircraft that is built in the United States by Cessna. The airplane typically seats nine passengers with a single pilot, although with a FAR Part 23 waiver it can seat up to fourteen passengers. The aircraft is also used for cargo feeder liner operations.